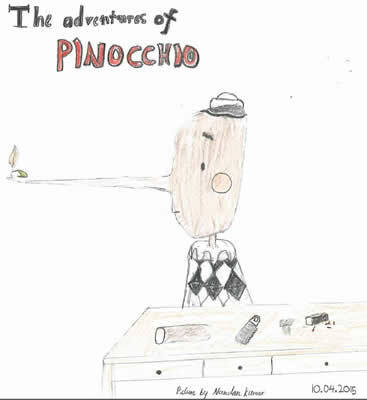 Ahh…The adventures of Pinocchio, a classic fairy-tale. Of course it is a classic, it was perfect! The characters, the settings and the plot, all perfect. But there’s something about it that stands out amongst the other fairy tales, maybe it’s the humble beginnings at the start, NO! Maybe it’s excitement! NO! , but it is the mystery, the mystery that leaves you hanging off a cliff at the end of every chapter waiting, wanting for the answer to all your questions. But there is one more thing, it is but the mind-boggling ignorance of Pinocchio, when he was told to go to school, he doesn’t ,but even after he learns about his mistake he does it again. But ,it is little things like these that makes the story that much more entertaining for the reader and beside the point what fun would a book be if he did everything right, all the book would be about what we learn in school and it would completely miss out on the adventure! Also this book teaches that children who don’t go to school and study well they will turn into to ignorant donkeys but this book takes that quite literally! 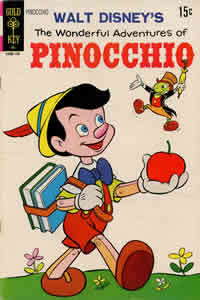 And that is why Pinocchio is a classic!!! © 2018 For Reading Addicts.